High Ridge Meadows Farm is a small family run farm in the hills of East Randolph, Vermont. All of our animals are raised kindly and naturally, using organic standards. We offer certified organic breed stock , freezer lamb, pelts, roving, & yarns. 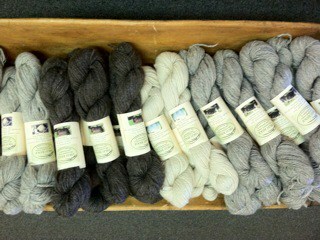 Our farm raised fiber comes from our beautiful Icelandic and Gotland sheep.